Turkey currently offers the best possible value for money. The exchange rate is around 2.40 Turkish Lira to the Pound, so you will find you have much more money in your pocket. Food, drink and shopping are cheap, so you will be able to do all the things you want to do on holiday. The complex and the apartment are very high quality and it has been personally furnished and equipped by the owners to make sure that your holiday is luxurious. 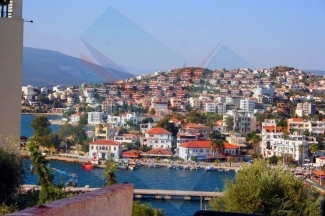 It's a brand new apartment in the beautiful and unspoilt fishing village of Gulluk. Apartment A14 is part of a new small complex called Rose Garden, close to the centre of Gulluk and a minute's walk to the sea. This apartment is a home from home. It is fully equipped with air conditioning, washing machine, fridge, full fitted kitchen with gas hob, a microwave with combined grill, TV (with satellite TV), DVD/DIVX (plays DVDs and Music CDs), iron and ironing board, hair dryer, a safe and all the things you would expect for a comfortable and relaxing holiday. It has an open-plan lounge, kitchen and dining area. There are two full-size bedrooms. It has a bathroom with a shower. There is a good-sized balcony with a table and chairs, overlooking the swimming pool. 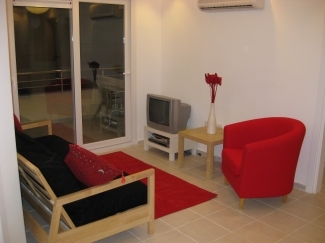 The apartment has a very modern and spacious feel to it. The main bedroom has a double bed, and the second bedroom has two single beds. The living room also has a double sofa bed. We provide towels for your use during your stay. The apartment's living room benefits from air conditioning for the summer months, which doubles as heating for use during the winter months. All the furniture is modern and of high quality. All bedding is supplied and is made of Egyptian cotton, to provide you with comfort throughout your stay. Rose Garden is a small, low rise resort. Apartment A14 is situated on the second floor overlooking the swimming pool. There is a Lift up to the apartment as well as stairs. You are a short stroll away from Rose Garden's sister resort - Marina Sol. Marina Sol has a Turkish Bath on the lower floor and guests staying in Rose Garden have full use of this facility. Just around the corner is Gulluk town centre where you are able to wander around its quaint little shops. You will also find a local bank, cash machines and car hire here should you need them. 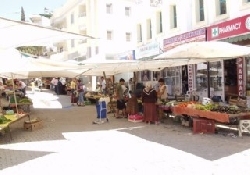 There is a weekly market in Gulluk with all kinds of bargains, as well as excellent supermarkets. 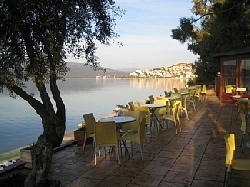 The Rose Garden resort is only 60 metres from the sea, where you can hop on a boat for the day and lap up the sun or take a dip in the beautiful Aegean sea. Gulluk has its own beaches and there are several others to choose from in the area. You can see the local fishermen bringing in their catch and if you like fish there is no better place to experience the taste of the fresh fish dishes than Gulluk's harbour-front restaurants. By day this gorgeous little fishing villiage is quietly buzzing with experiences for both families and couples alike. By night you can experience the excellent local restaraunts overlooking Gulluk harbour and the wide bay with the beautiful Aegean sea. They serve every type of food and the quality is excellent. Prices are cheap, and a two course dinner for 2 people with a couple of drinks works out at about �20. 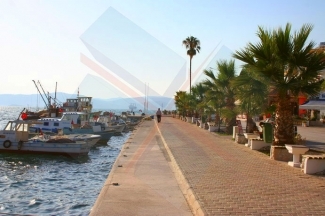 You can have a stroll along the promenade, stop off and have a few drinks, or during the summer months venture out on an evening cruise on one of the boats situated only 5 minutes from your apartment. About twenty minutes away by car or taxi is the town of Bodrum. (40 minsutes by Dolmus & only 5 TL each) This is an established Mediterranean destination with an atmospheric old town combined with new, modern facilities. It offers a huge choice of shops, boutiques, cafes, restaurants, markets, bars and nightclubs. It has an upmarket reputation and provides an excellent place for you to coveniently visit during your stay in Gulluk. 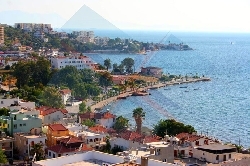 The Bodrum peninsula also has lots of other towns, resorts, villages, beaches and places of interest to visit - both on the coast and inland. Holiday visitors often explore the beautiful coast on a boat trip or book a jeep safari to explore the mountains and traditional villages. The brand new Vita Golf Park has recently opened. So for those of you who like golf you are only 15 minutes away from this outstanding new facility where you can play golf, and also wine and dine. (See photos attached and the description below from Asem). "Golf at the newly re-launched Vita Park golf course has had keen golfers singing its praises. One of our clients, who bought on Marina Sol in Gulluk, is a keen golfer in the UK and highly recommends this new course, with the weather and the scenic backdrop, it�s definitely going to be another great addition to the area." The resort town of Altinkum is about 90 minutes north of Gulluk by road. Altinkum offers long beaches, shallow seas, boat-trips, watersports, and a huge choice of cafes, restaurants, bars and nightclubs. 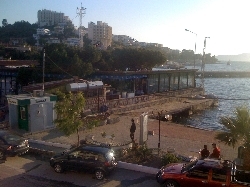 It's sunny and relaxed during the day and has a vibrant nightlife in the evenings. Gulluk is only 10 minutes from Bodrum airport, so a taxi will bring you to your apartment in Rose Garden in just a few minutes. We can arrange transfer for you at a smal cost of �20 return for 2 people and an extra �5 per additional person. Don't forget, the exchange rate is excellent at the moment as they use the Turkish Lira in Turkey (not the Euro). This gives you more than double the amount of spending money and everything is so cheap there. Your money will go a very long way in Turkey. What more could you ask for from a holiday? The weather is sunny and hot, the turquoise sea and olive-clad mountains are beautiful, it's affordable and very high quality, food and drink are cheap, the shops are full of bargains, the people are very friendly, welcoming and helpful, and with so much to choose from your holiday is as relaxing or as exciting as you want it to be. Flights to Bodrum can be booked through Airflights.co.uk, Thomas Cook, Thomson, skyscanner.net, aegeanflights.com, cheapflights.co.uk, Aegean Airlines, Turkish Airlines, Onur Air, and for those of you in the South East easyJet fly to Bodrum from Gatwick. There are a large number of internet websites, agents and airlines all offering flights. 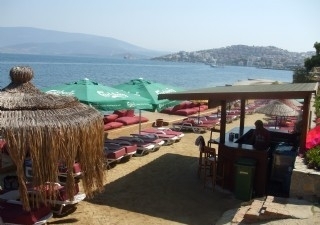 Transfers from Bodrum Airport to Rose Garden in Gulluk can be arranged. The transfer time is about 10 minutes and will cost about �20. Discounts will be consider for longer stays during the winter months. Please contact the owner for details.